We, Cross Boundary Consultant, introduce as one of the reputed, Professional, Progressive and fastest growing recruitment company in India engaged in the field of Immigration, Overseas jobs in recruitment of international market. We are being associated with M/s.Fayeda Travel Agency since 2011 to till date in handling all terms of Recruitment related activities in behalf of Fayeda and they have 13 branches offices across India and 3 overseas branches at Saudi and Oman. We are specialized in human resource, Saudi Visa processing and work force services providing Consultancy to foreign companies and organizations. We provide professionals like Teachers, Doctors, Medical and Paramedical Staffs, Engineers, Skilled, Semi-Skilled, Unskilled, Security Personnel, Hotel Staff,Agriculture as well as General Labor and domestic helper for middle east. Cross Boundary Consultant is one of the competent and reliable Placement Consultancies in Lucknow, Uttar Pradesh. We are a Recruitment Consultancy that provides staff for Export/ Import IT/ ITES and Tour &Travel domain. We offer outstanding Ticketing Services, Attestation Services, Manpower Services, Placement Services, and Recruitment Services within the time constraint to provide benefits to the clients. We provide our clients assistance in Domestic Placement and Overseas Placement. We work in professional manner to fulfill the staffing needs of the organizations. Moreover, we also provide our services as a HR Consultancy, Career Consultant and Visa/ Passport Consultant, to help our clients and guide them for their queries. We understand the requirements of the client and work dedicatedly in order to fulfill the specifications provided by them. The services offered by us are highly flexible and offered at an affordable price to clients. 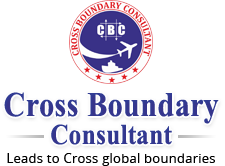 Cross Boundary Consultant was established under the management of Mr. Niles, who manages the company. He has always motivated the team to work in a professional manner. We are backed by a team of experienced consultants, who take care of the requirements of the client and offer them with the best services. We work with an aim to provide brilliant and talented candidates to our clients so that they can focus on their core business.